It’s that time of the political season when we are faced with countless campaign pleas for support of candidates who promote road funding, health care, education reform, and crime control. 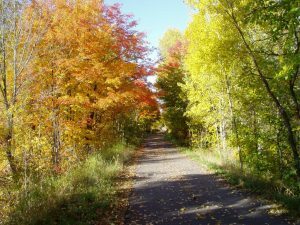 All key issues doubtlessly generated by recent polling–issues that are on the minds of the voters, but our elected leaders would be wise to keep in mind an important infrastructure and quality of life issue that has distinguished Michigan as a national leader–local trails and parks. Thanks to Governor Snyder, Michigan Department of Natural Resources, Michigan Department of Transportation, local park and trail managers, and philanthropic help from organizations like the Ralph C. Wilson Jr. Foundation and individuals like Fred Meijer and Mike Levine, Michigan leads the nation in trail mileage. Adding in a new water trails program will mean even more miles of trails that will welcome both Michiganders and out of state visitors to explore our natural scenic vistas. Michigan has unearthed an economic, natural resource and historical legacy gold mine that will continue to pay dividends back to the state if our citizens hold their elected officials accountable for continuing to support and build on this leadership role. Every few years, the DNR conducts a statewide assessment of the needs of citizens and local recreation officials. This recent study revealed no recreation issue resonates more strongly with the people of Michigan than building more miles of trails and parks. Meeting this need drives quality of life and brings in employers and employees who look for more than simply a place to live and work. Economic impact studies from key areas such as Traverse City show us all that trails and parks mean real dollars and increased property values welcomes a diverse and satisfied citizenry. Trails are so much more than simply recreation corridors–they are avenues for connecting neighbors, learning about history and building healthy communities. Trails have defined and will continue to define our state. When you move to the ballot box in a few days and even after the results of the election are announced, keep in mind this important fundamental need for the state of Michigan. There are key political and policy choices that will follow in the next year that will demand that the voice of the state’s citizen base speak loudly and consistently for this important resource that will impact the future of the state–VOTE FOR MICHIGAN TRAILS AND PARKS!